After this successful lesson, i learnt that i need to know better about my KA mixer..the beating process in the original recipe was not work for my KA mixer..
1. To use cold eggs directly from the fridge. 2. Beat cold eggs on high speed in order to get a foamy texture then reduce to medium speed to stable the batter till thick. 3. Earlier recipe requested is to warm milk, honey and SP together. I found SP/Ovalette not easy to dissolve in liquid, thus i only warm milk and honey. 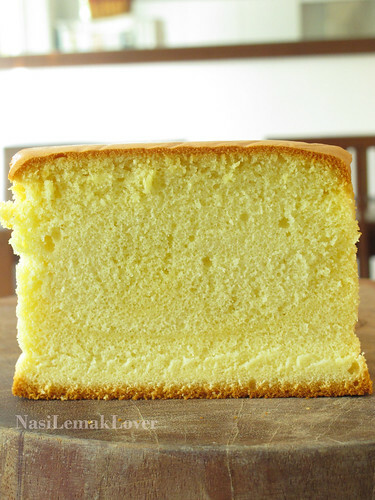 See how stable the batter is..very thick and creamy white, look really white! Upside down the cake to cool.. I was really happy when i removed the baking paper, tall and firm cake! no major shrinkage after cooled down.. 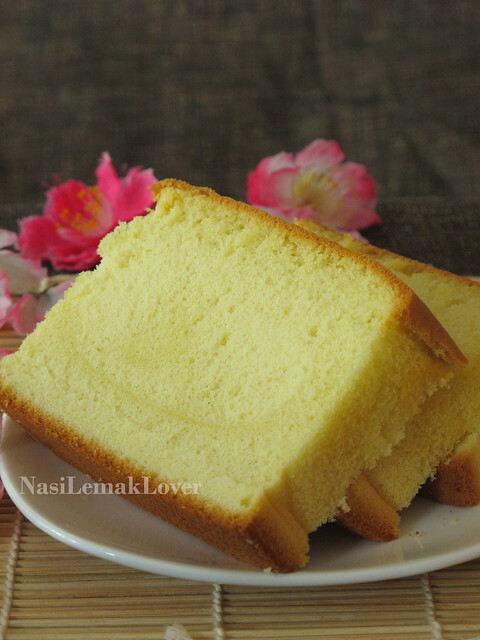 I happened to saw a bakery shop selling this cake, locally we called honey cake, bought one to try and it was really good and yummy, very strong honey aroma and moist texture..
To ensure my new findings are working, actually i bake two batches in a row..
2. 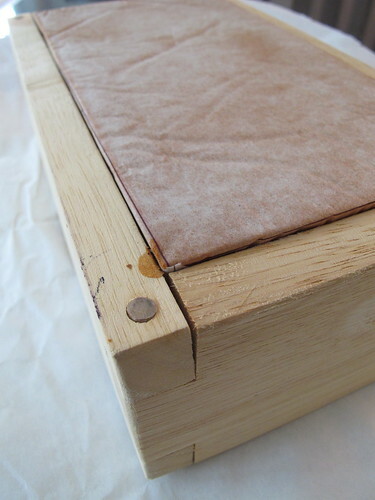 Line wooden box with parchment paper and wrap with foil with 1” height from bottom, place on a large baking pan. 3. Warm milk and honey over simmering water. 4. Add eggs into the mixing bowl, then add in milk and honey mixture, add in bread flour and cake flour, lastly add in sugar and ovalette. 5. Beat at low speed (KA mixer at 2-3) till mix well. Scrap the side and bottom twice in the mixing progress. 6. Increase speed to high (KA mixer at 8) for 1-2min till batter slightly thick. Scrap the side and bottom. 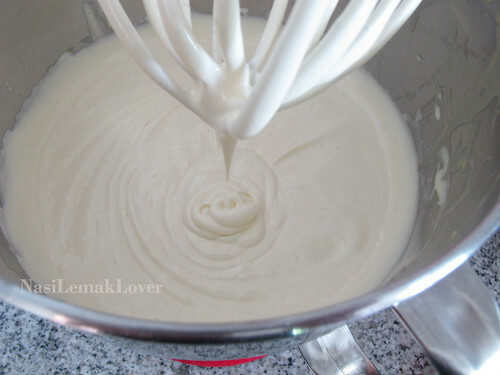 Reduce to medium speed (KA mixer at 5) and continue to beat for another 7mins or until batter is thick and creamy white ( you can write a “O” on the surface with the whisk, it should stay there long enough for you to read it before it disappears). 7. Combine melted butter and mirin together, slowly add into the batter and beat over low speed (KA mixer speed 2-3), scrape down the bottom and sides of the bowl to ensure blend well. 9. Once the cake is done, remove from oven, place a non-stick parchment paper on top of the cake and follow by another cake pan, turn up side down the cake. Cool on a wire rack. 10. When the cake is cool enough to handle but still warm (~15mins), invert the cake again, remove the pan and wooden box. Continue to cool on a wire rack. 11. Cool slightly and wrap the cake nicely. Chill in the fridge overnight before serving (This step is critical to ensure the Castella has a moist texture). I also like the taste of Castella Cake. It's so pity that my husband not really like and ask me don't make it so often. I tried 妃娟老师's recipe, I find it quite nice. And I also omitted SP in the recipe. I am completely hypnotised by this perfectly shaped cake! It also looks delicious and very original. I don't think I have never seen anything similar "live". Looks wonderful with fine texture! Castella cake is back in action in bloggerland! Impressive Sonia! You are indeed one of the more persevrent baker I know in this blog sphere! Well done! The cake looks super tender and delicious! Yummy! I like the one that is perfectly square from the box. The texture is very soft! Still not dare to touch this type of cake. Thanks for the tips. I'm sure I can use it in future. 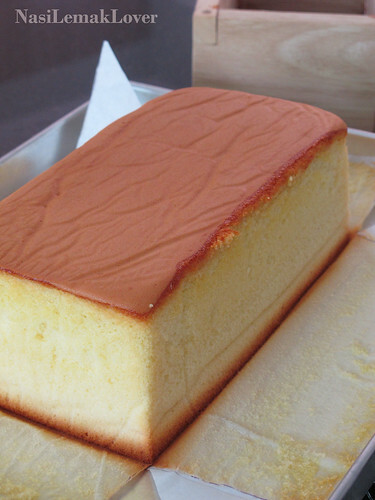 The Castella cake looks perfect and totally professional, you must be so proud!! well done, your efforts paid off! Congrats on your success! Looks great! Congrats Sonia! You're rewarded for all your hard work. I am drooling right now, wow! you must be a good bakery. Super soft n yummy cake!! The shape is so perfect!!! Congrats 2 u... Really loves d look.. The taste should be better I guess.. Where can I get d wooden mould? Sonia, your cake is really very beautiful. Look so fluffy and yummy. You are certainly good in baking. Wow, you're a perfectionist, Sonia. I would have given up already :) Great job! I'm first time in your home. Loves all you bakes and cooks. Sonia, I can imagine how happy you are, I feel for your happiness too & congratulations. Thanks for all your tips as well, I'll keep that in mind! So all cake habis by now? If not, I want 1 please, hehe! Very impressive indeed! I would love to try this again and try to follow your technique! 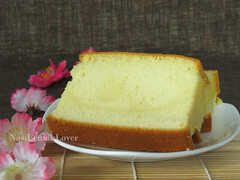 congratulations SONIA, your really persistance, glad to hear that u hv made a success castella cake. need to practice more, hahahaha! i always admire your ' never give up ' attitude! i wish i can be as hardworking as you!! Sonia, your persistence paid off! I bet there is such a sense of "I did it!" Great role modelling for your family I am sure and all the inspiring home bakers like myself! Your cake looks tall and beautiful. I just bought the wooden mould and yet to try the recipe. How do you fold the baking paper for the mould? Are you able to do a photo step by step as to how to line the mould? Yours is very nice an neat. congratulation!! hahaha!! 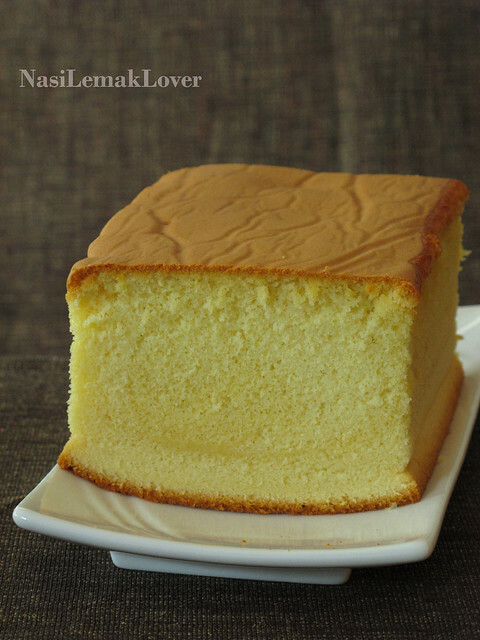 wish I can bake a prefect castella too!! I bet it must taste good too!! So Castella is the in=thing now? You got it my friend. Congrats! Congrats! It is absolutely gorgeous! Congratulation. 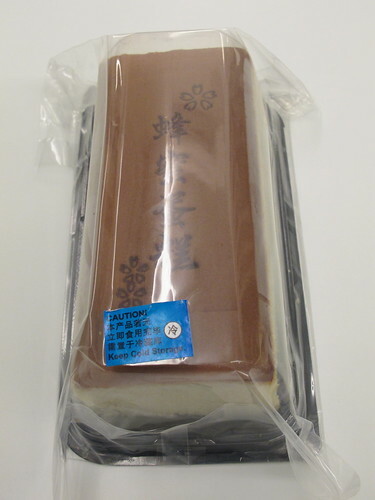 Castella cake looks perfect and nice too. Bravo Sonia, u made it! What a beautiful and gorgeous cake. I'm so glad you made this so perfect. :) I don't have this wooden mold and your pictures and description made me want to "hunt" one down! What is mirin? can I bake in normal baking pan. where to buy the mould for the castella cake? i find your blog very interesting and all yr baked stuffs looked very professioal. one question though can i omit ovalette and use sweetened condensed milk instead?